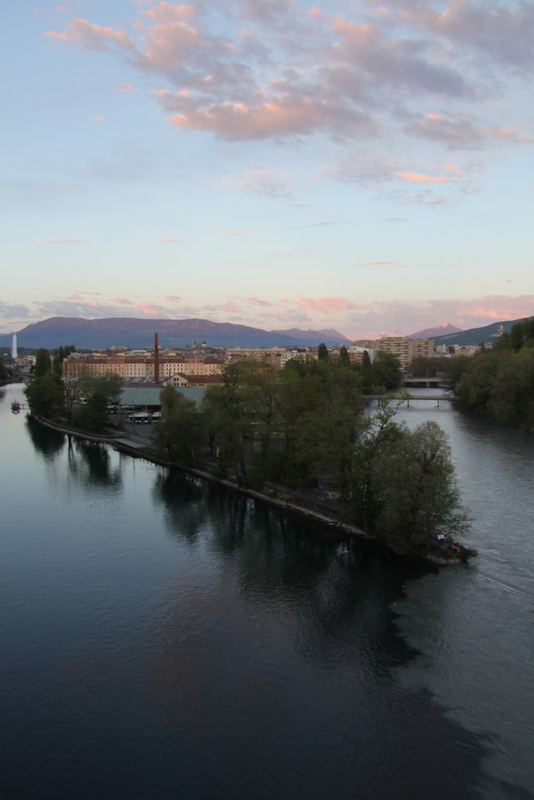 The Rhone is one of the major rivers of Europe, rising in Switzerland and running from there through southeastern France. 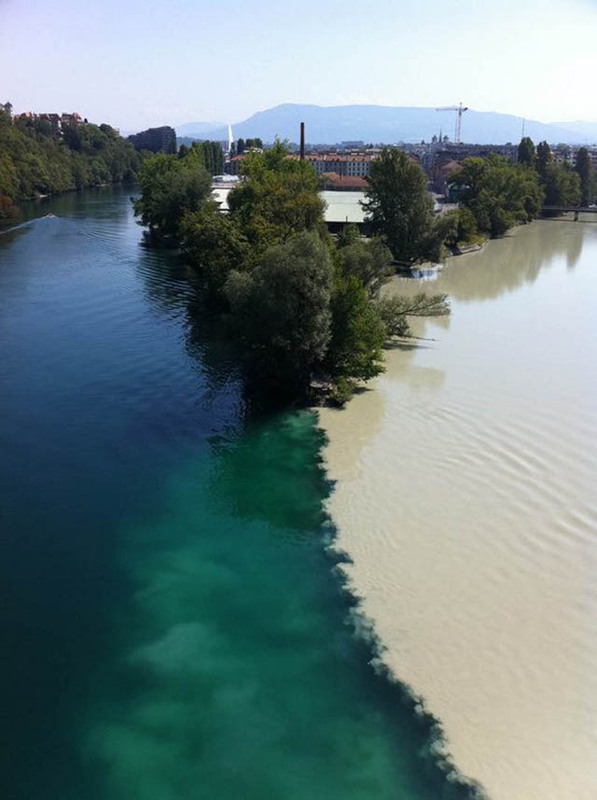 In this incredible photograph we see the confluence of the Rhone and Arve rivers in Geneva, Switzerland. The river on the left is the Rhone, which is just exiting Lake Lehman. The river on the right is the Arve, which receives water from the many glaciers of the Chamonix valley (mainly the Mer de Glace) before flowing north-west into the Rhone on the west side of Geneva, where its much higher level of silt brings forth a striking contrast between the two rivers.